As Owydelu woke up, he knew this day would be special : This will be the day he will get his first S-Rank mission. This was very exciting for him. He got up from the bed very quick, not like he's normally doing. He got to the shower wishing to cool himself down. He was thinking if he will be prepared. Some months ago, Owydelu wasn't able to do some easy D-Rank missions and now he gets his first S-Rank mission. He was thinking about how quick that escaladated and he was right about it. Owydelu evolved very quickly and he had simultanously improved his Mokuton and Ninjutsu. He was proud of himself even if the others would say he is overconfident. That was his opinion. He got out of the shower quickly, in order to have time for his daily breakfast. After all, it was day's most important meal. He got some chereal with milk and he had eaten them quickly. He couldn't waste the time he had anymore. He dressed himself up and then he had locked out the door. He couldn't let anyone get in his house. He started to hurry to the Administration Building to claim his mission he was assigned for. As he got there he told the ones who were assigned to the missions giving. He recieved all the informations he needed and then he left the room, aiming to go outside. Recently, Kaze no Kuni has a problem with a Nuke ninja. 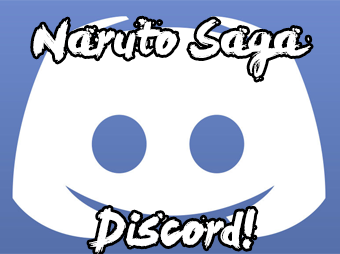 Because the Kazekage has sent all the Jounin in other important missions and she can't take care of this at the moment, Sunagakure is requesting Konohagure's help in catching and/or Killing this ninja. Owydelu turned the page, wishing to see the reward for this "impossible" mission. When he saw written there with black on white "1000 Ryo", he didn't even trough about it, he started getting to work. He knew that this was only some basic information he got from the Administration Building in Konohagure. What he had to do was to get to Sunagakure in the Kaze no Kuni first, to get all the needed information for the S-Ranked. In 5 minutes, Owydelu was all ready to go. He took a Backpack with him, in case of any emergency. He put there a medical kit, some Peanut Butter and Jelly Sandwiches and some bottles of water. It wasn't any joke to make when coming to the desert. In his academy days, him family had put Owydelu to learn about all the type of landscapes. One of them was the desert. He was remembering now what is a desert as well. "A desert is a landscape or region of land that is very dry because of low rainfall amounts, often has little coverage by plants, and in which streams dry up unless they are supplied by water from outside areas. Deserts can also be described as areas where more water is lost by evapotranspiration than falls as precipitation. Desert plants must have special adaptations to survive with this little water." This was all he learned in his younger years. The lectures he read were some pieces of intelectuality that not eveyone could've understand very well. He was now fully prepared for the fight that was going to come by. The sky was smiling along with the sun to Owydelu. They were "trusting" him that he's going to do a good job for the sake of the village and for the sake of his nation. Now he stepped out of the Village's Main gate. The wind changed as he got out from the "Safe Zone". The sun was sending powerful rays over Owydelu's head to protect him from any head attack. Suddenly, the sky was covered in black clouds that were about to explode. The rain that was going to pour from it will be a fresh one that could chill any ninja that's fired up. Despite Owydelu's predictions, the rain didn't occur. It was rather disapointing for him to see that he has mistaken in one thing. Forgetting about this, Owydelu started to take a faster route, travelling by jumping. The air was pushing Owydelu back with a powerful force. This was marking the fact that he had the speed needed for a jounin to travel. The branches underneath his feet were cracking a little, from the pressure and power Owydelu was using to push himself up and jump higher. The trees were getting more rare to see with every step Owydelu was making. This was marking that the desert was about to come in force to him. The desert was also the location of the Kaze no Kuni, more exactly, the location of Sunagakure no Sato. The trees' leaves' color was more like a yellow to red one now. They were not the same green as in the presence of the village. Maybe the simple presence of the Kage, of the villagers or of the Senju Clan was making the trees to look so beautiful and gorgeous. It was said that every village determines the nature of the surroundings. The only presence of the Shukaku that was originaly captured by Sunagakure was making the surroundings an endless desert from where you can't escape too easly. Owydelu was running from slower to faster, but, in some time, he was also taking a break. Even if this was an S-Ranked mission, he didn't wanted to push himself up to his final limits. The surroundings began to change. The desert was almost in his face. After 5 more minutes of running, Owydelu reached one of his goals. Now he was finally seeing the endless desert that was surrounding the Sunagakure. From now on, this wasn't a known place anymore and he had to pay attention to every detail to stay alive. "Being the best isn't all it's made out to be. When you're strong, you become arrogant and withdrawn. Even if what you sought after was your dream." Now, Owydelu was looking exactly at the reknown Desert of the Sunagakure. The wind was different in the Kaze no Kuni. Even if it was the Land of Wind, the wind is still wind, right? Well that was what Owydelu was thinking about. But it wasn't something to worry about. He started walking on the soft sand that could be sensed even trough the ninja sandals. The sand wasn't something that he could've seen everyday. It was something that a Kenosha ninja could rarely see. Even if it wasn't that far from his own village, Owydelu hasn't ever seen the sand from Sunagakure. This was his first time he ever visited this desert and he was sure that he won't ever see this kind of beautifuliness if he will fail this mission. This was an S-Ranked and any possible made mistake was to lead this mission down below. The success was too far to be reached right now. He first had to travel over this sand domain and then to find the Missing Ninja. This was no easy stuff. For now, Owydelu was feeling like he's fullyfilled. The powerful sun was doing more than to softly touch his skin. Now, the sun had a powerful move on the desert, thing that could get Owydelu to It's limits of supplies. The desert's animals were now moving here and there. Owydelu was analyzing them closely, trying to observe their natural state and their natural surviving nature. Owydelu was asking himself: "How do they survive this long in such a destroyed place. The desert hides all the natural resources and that's why Humans don't really come this far just to look at it. The water can only be extracted from Cactuses. Despite their slimy nature, the water from them can be really tasty, being one and the same with the real water everyone drinks in their village(s). But it was enough with the speaking an thinking, Owydelu had to continue his journey if he wanted to get there before the sunset. The sunset was something like the "Dead Limit". Sunagakure informed the Konohagure's Officials that they need to take care of it quickly of they accept this. The Missing Ninja was making all kinds of crimes. He was murdering, stealing and many more. The Kazekaze was a respectful woman. To be the Kazekage at the age of 19? Owydelu didn't even dream about this when he was of here age. At the age of 19, he was a Special Jounin and he was getting close to becoming a Jounin. Well, these things can be discussed in different matters. She had a talent from the start of her "carrer". 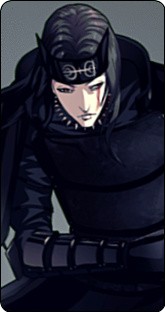 The Kazekage, Gin, was from the Kuroka Clan, a respectful and a powerful clan from Sunagakure. It could be read from Owydelu's face that he didn't enjoy the trip he was making. The things he had to do and the things he had done for the sake of the village were not counted from the start and they couldn't be counted. Owydelu had the thing that the Third Hokage was calling "The Will of Fire". The Will of Fire was the will to protect the Hidden Leaf Village. The will to protect everybody in Konohagure, even the Enemies and the ones you don't know. This "Will of Fire"stopped the possible harms that could happen to the village for generations and generations. Now, the Sarutobi Clan's descendants and all the rest of the ninja in the village were passing the "Will of Fire" the same way their "Old Men" did until now. The same things were getting trough Owydelu's mind over and over again. The same old things, packed in new paper. Owydelu was more like a deep thinker. There weren't too many things that could escape from his mind. He was taking every piece of intel and he was analyzing it day and night until he would get every new piece of intel from it. Also, when fighting on a new field, that he never fought before, he was doing the same. He was analyzing the situation and he was also scanning to see if any of the surrounding's pieces could give him any kind of advantage. In different places, different advantages and disadvantages could occur. Any of those, when discovered, could be taken as an Advantage for himself or it could be thrown away as a Disadvantage for the opponent. As Owydelu was looking around to discover any possible advantages and disadvantages that he could use, he observed something. He was now aware that there was only sand everywhere. In every position of his sight, there was only motherfucking sand, that was kinda laughting of him. Everywhere he was looking, either it was North, South, East or West, or any number of steps he was making, the results were the same. Only sand everywhere, with no possibility of escaping from this sand domain. Now, Owydelu started to wonder if this was, for sure, a good choice to make. He was aware that the mission he was going to take wasn't going to be for his sake of his village, it was going to be for the Hidden Sand Village. For the sake of another village? To do all this work for another village? This wasn't going to be accepted very well by Owydelu, but, if this was a mission assigned to him, what else could had he done? At least, they could've send someone to get Owydelu to Sunagakure, in safety. A jounin, a chuunin, even a mere gennin was well-welcomed. This was no good. He was about to lose his mind if he would see this sand ever again in his life. He just remembered in that moment that, he'll have to come back to the village as well. He couldn't do nothing more now than just to continue his journey to the Hidden Sand Village and to pray for the best. This wasn't going to be east, that was for sure. This wasn't a real challenge, the thing that he was going to fight with a Missing-Nin. The only thing that was making this mission a challenge was the travel alone. Sand here, sand there, sand everywhere!! Owydelu was getting more nervous as the time was passing by. He wanted to fight a ninja that could be able to stimulate his fighting skills to the maximum. Why did he end up trying to figure out a way to get to Sunagakure. One thing was sure: Owydelu wasn't made for travelling. If he was ever going to travel anywhere, it was sure to take someone with him. Even his students were good right now. Owydelu started remembering Kichirou now, his former student. He was only there for some days. When talking about a real mission to test his real skills, he just ran away like a chicken. This wasn't a true way of the ninja and Owydelu wasn't going to ask anybody to do as Kichirou did. That was a laziness and lack of power proff. He started wondering what did he do at the chuunin exams. Maybe he ran away like he did in his team. Only joking. Owydelu was proud of his abilities, but Kichirou was just too confident on his own powers that he even trough that the A-Ranked mission Owydelu and his team got, was not worth it. Suddenly, 5 shuriken were getting right in Owydelu's direction. With a powerful leap, Owydelu did a backflip and, like this, he got back 5 meters. He was looking in all directions. There was only sand and no sight of a real ninja. What was that? Was it a real attack? Was it a genjutsu technique? Was he alright? All these questions were flowing in Owydelu's mind. He was thinking really deep about this. He was almost sure that a ninja attacked him. He returned to his previous place and he tried to look at the shuriken that were thrown. Those were some real shuriken that, if Owydelu hadn't avoided at the right time, could've hurt him bad enough for the attacker to finish him off. Suddenly, with a powerful shout, a ninja was falling from the sky, with a sword in him hand. He was prepared to strike Owydelu down. His powerful attack got his sword in Owydelu's back and stomach. Owydelu fell on the ground, bleeding really hard. The ninja was now getting his sword out of his opponent's body, starting to lick it. He was smiling while holding still a malefic face, with the wish to kill someone, anyone, everyone that was around at that moment. It was good that there were only two ninja there, the misterious attacker and Owydelu that, was at the point of dying. It was good that Owydelu prepared a "Substitute Technique" some minutes ago, when he was about to check the shuriken. With angriness in his voice, Owydelu asked the misterious ninja: "Who are you? What do you want? Why have you attacked me?" The ninja smirkled while holding still his malefic facial expression. "Well, how can I tell tell you to understand? I'm your biggest nightmare! I'm Kozuki Igarashi!" Owydelu remained surprised : "Kozuki Igarashi? He's the missing-nin I was looking for! This has tp be an opportunity to show my strengths! I shall show all of the Hidden Sand Village the true power of the Hidden Leaf Village's Shinobi. Then, Kozuki continued: "As for the other questions...." he started smirkling as he continued "....I just love to see how the blood spills on the floor!" From that moment, Owydelu knew that he was a true maniac and there was nothing that he could do to convince him to stop this fight right now. With that kind of personality, he sure had no emotions at all. Owydelu took his fighting stance now. He was ready to defeat him at the finest limit of normality. From the appearance, you couldn't tell that he was something different than a ninja. The title of ninja was perfectly defining him. His clothing was black and red, thing that could mean two things: either his clothing was made from these two colors or the red color was from the outnumbered times he killed someone. Judging by the intense color and by the way that color was painting the desert into a "Tsukuyomi Abyss", we could've said that he was just a mad murdereer. And this was only the beginning. The assassin was about to target Owydelu as his next victim. This was for sure not the time to think his strategies as he always did. Forget about what he said, Owydelu was now scared of what's going to happen. He was prepared for whatever the future was going to create for him. Owydelu was now easily retreating, trying to think of a plan to get that maniac down as he as he could. He'd start with his unique jutsu called "Mokuton no Jutsu". He released the wood from his palm, trying to get his enemy like this. He just jumped over it, while creating a Blood Scythe. He was getting to Owydelu really quick. Altrough his unknown skills in the Fire Country, he was far more powerful than more in the Hidden Leaf Village. His attacks and the speed he was acting were enought to easily defeat a Jounin. This was crazy because Owydelu wasn't preapared for such a "quest". He just trough that this would be an easy fight. But now he remembered why Sunagakure sent word to Konohagure, asking for help. The mission wasn't made for a Special Jounin nor for a Normal Jounin. They made this mission for someone that has a Kekkei Genkai, someone that can manifest physical structures around the enemy, they made this mission for a Jounin Senju. Now it was the time for Owydelu to make a name for himself. He was just hoping that this won't get him killed in no time. At least, he could've tried to defeat this maniac. He smirkled and then, he started got a kunai out. He was ready to finish this fight once for all. The maniac got out, with his other hand, his sword. From the look of the sword and by the abilities Owydelu saw they had, it was for sure that it was an S-Ranked sword. The sword had a very sharp and swift blade. The metal from what is was made of was all sparkling and shining in the Sun's rays. The blade could be used in two ways now, it seemed. To blind the opponents first with the sword's shine and then to attack and slash every piece of that person's flesh left. This could've been a possible attack that could cause some serious injuries. There was nothing to joke about these techniques. As he was looking in Owydelu's eyes, the look was capturing Owydelu in a long and big sea of blood. There was a lot of suffering in his eyes. It was like something bad happened in his childhood. Owydelu didn't know how was that feeling like. It couldn't be said that Owydelu had a hard childhood. He recieved anything he wished during It's childhood, thing that made him the honourable and worthy ninja he is today. Now, back to the fight, the Madman was striking right in Owy's weaker spots. It was like he knew where he's good at. With one sword and one Scythe, it was more than enough to defeat a ninja that had only 2 kunai. It was hard for him to dodge all of those. With a lucky shot, Kozuki destroyed Owydelu's defense, by shooting both kunai away. He shot one with each weapon. The kunai were flying all around the sky above the battle field. With a powerful swing, Kozuki triend to swang both weapons at the same time, in an "X" direction. He started screaming with a pleasure in his voice: " X-Cut technique!" Owydelu was cut in two different places, making an "X" on his torso. "What kind of movements are these?" Owydelu was asking at that moment. The maniac continued: "Hmm, I see you found out that my technique can't be avoided! There weren't many survivors after this technique! In fact, there were no survivors! This is how this Bukijutsu technique is a secret art and I intend to make it remain as it is!" Owydelu fell down on the floor. He was about to die, because of his high-damaging wound. He was there, looking at his opponent maleficly laughting. Owydelu just failed this mission, thing that branged him his death. He started having illusions. Takeshi and Sousetsu were there. They were screaming: "Get up Owydelu! You can't give up when you're that close to winning this fight once and for all!" By their side, Owydelu's mother and father came too. Koji, his little brother appeared smiling. Rinshi, Niko, Hideo and all the people from Konohagure appeared, trying to wake Owydelu up. Suddenly, he started feeling something that he never felt before, something intense, something that was getting on his neck. It was the power given by all the friends he knew, either they were rivals, enemies or just regular friends. Owydelu got up, trying to forget about his wound. The madman had his back turned. "This fight is not over yet!" Screamed Owydelu. Kozuki turned around saying with an evil smile: "Haven't you had enough?" With some rapid hand-seals, Owydelu screamed: "Wood Release: Wooden Fists Attack!" Some wooden fists were rising from the sand's underground. Kozuki hardly managed to dodge them, because of their size. Owydelu was there, looking in Kozuki's face. Now, this fight was going to end, either in a dramatic or happy way. Even if he was going to die, this was for a better world so he couldn't stop now just because of the death that was coming to him. They just started running, one to another, Kozuki with both his weapons and Owydelu with nothing in his hands. They were screaming like the lava was burning trough their bones. They were running at unimaginable speeds, that the normal eye couldn't see. Now they were at less than 1 meters away from themselves. Kozuki, with all his force, stabbed Owydelu with both of his weapons. Owydelu was bleeding hard, when he started making some hand-seals. At the end of them, after doing them slowly, Kozuku was all confused. He was something like: "Is he trying to win after all these wound he has? He really is a fool!" Owydelu screamed: "Mokuton: Sashiki no Jutsu!" Suddenly, a wooden branch got out from his belly and it got right in Kozuki. "Now I shall teach you the respect Kozuki!" Said Owydelu. Inside Kozuki's body, the branches were multuplying, making a read disaster in his body. Owydelu suddenly became unconscious. The image was blurrying and it was getting darker and darker....This was the end of him. At least he helped the ninja world as he could. He woke up in a hospital. He had wounds all over his body. Those were hurting like hell. Suddenly, a medic came in and helped Owydelu eat something. The doctor explained what happened. "After you used your technique on Kozuki, we arrived and we were able to imobilize him! Now he's captured thanks to you!" He handled the 1000 Ryo to Owydelu. He laid down as he was thinking about what he realized today. Friends were the best, no matter what anyone said. It was the legacy he would pass to all his students and children.